Note the video above was made showing the MicroPython version of this library. 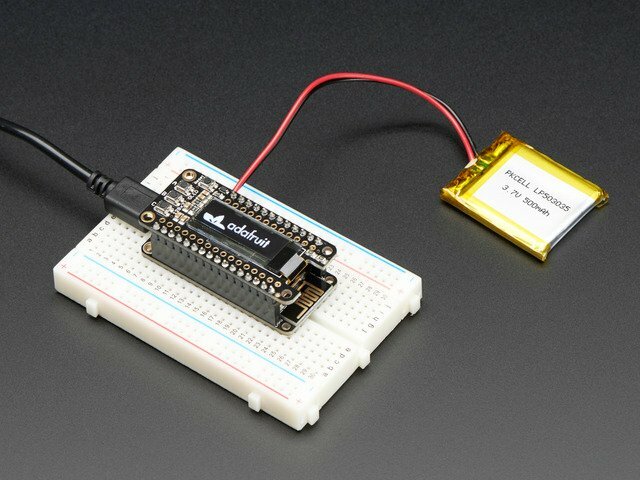 Follow the guide to see both CircuitPython and MicroPython versions of the SSD1306 library. Small OLED (organic light emitting diode) displays are an easy way to add text and graphics to your project. 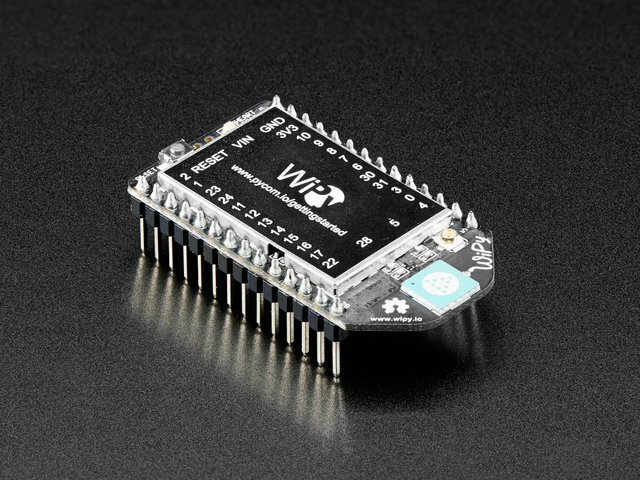 These displays have beautifiul high contrast black and white graphics which are perfect for making simple interfaces, displaying sensor readings, creating a retro game, and much more. 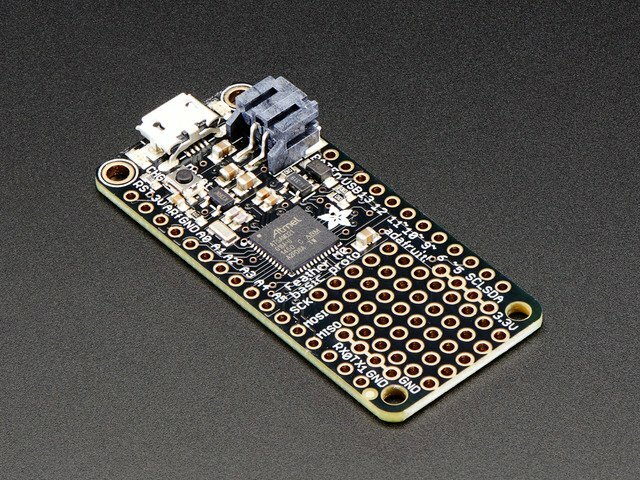 Even better you can now use OLED displays with CircuitPython and MicroPython! 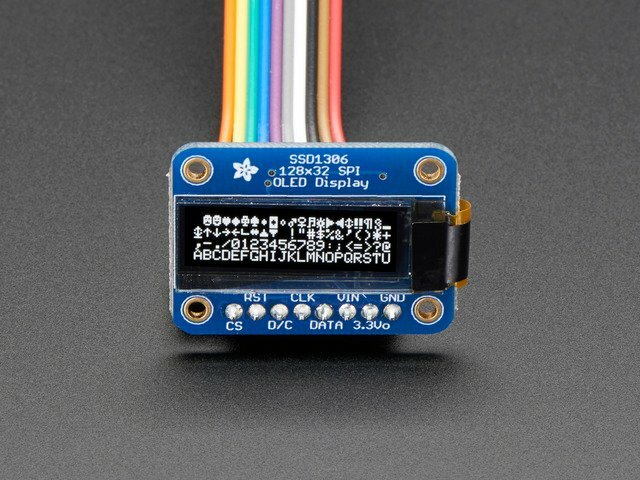 This guide explores how to use SSD1306-based monochrome OLED displays with CircuitPython and MicroPython. 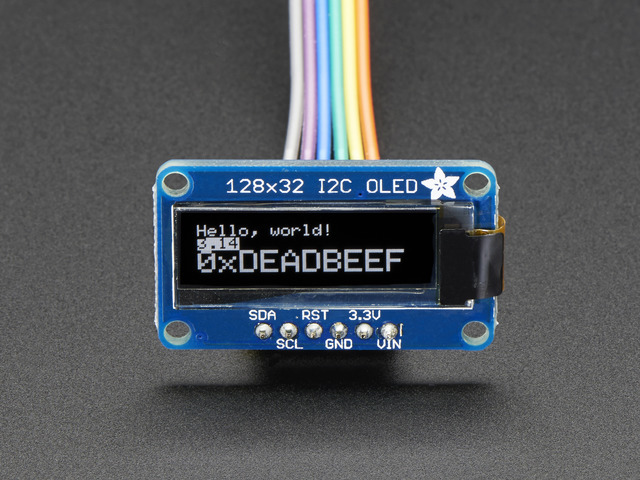 The FeatherWing OLED in particular is a simple way to add an OLED display to a Feather-based board like the Feather HUZZAH ESP8266 or Feather M0. 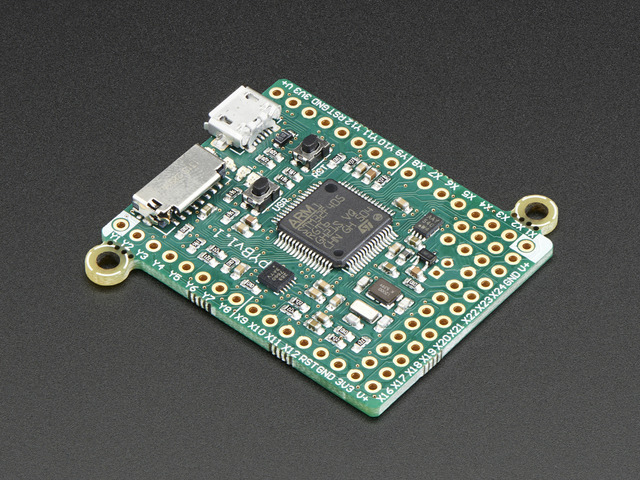 Simply plug in the the FeatherWing to the Feather board and you're all set to control it from Python. No need for messy or confusing wiring! Be sure to check out the OLED breakout guide for more details on OLED displays and the available boards in the shop. This guide was first published on Oct 21, 2016. It was last updated on Oct 21, 2016. This page (Overview) was last updated on Apr 24, 2019.